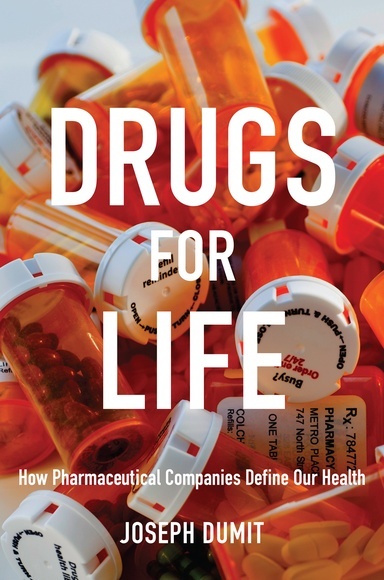 Drugs for Life: How Pharmaceutical Companies Define Our Health, Joseph Dumit, Duke University Press, $23.95. The average American is prescribed and purchases between nine and 13 prescription-only drugs per year. Overall healthcare expenditures were over $2 trillion in 2011 and are projected to reach one-fifth of the country’s GDP by 2020. Drugs For Life reveals the glaring contradiction that exists between economic policies prescribing cuts in healthcare and more effective medication, versus a continual growth in costs. Joseph Dumit explains how marketers began to redefine the very concept of health in the 1960s, replacing the idea of inherently healthy bodies with the concepts of risk and prevention. In this new paradigm, to be normal is to be insecure. Throughout the book, Dumit unravels the corporate strategies employed by pharmaceutical companies to appropriate research and clinical trials, manipulate facts and norms and expand their market. Despite his challenge to the hijacking of public health by the private sector, the sheer size of the pharmaceutical industry means governments are compelled to let the industry conduct studies at a lower cost. Companies have taken control of research, scientific literature and advertising – bypassing regulators and healthcare professionals. If the purpose of healthcare is no longer to reduce the need for future treatments but instead to increase that need, then the meaning of health and its relationship to business must be reconsidered.